St. Mary’s Road United Church is in the process of visioning for our future. A vision helps us look to where the spirit is calling us to be and what our purpose is as a community of faith. The draft vision document is the result of almost a year of consultation and discussions. When finalized and adopted by our congregation at the next Annual Meeting, it will form the base for our decision making and priorities. It will help guide where we put our financial resources and time. 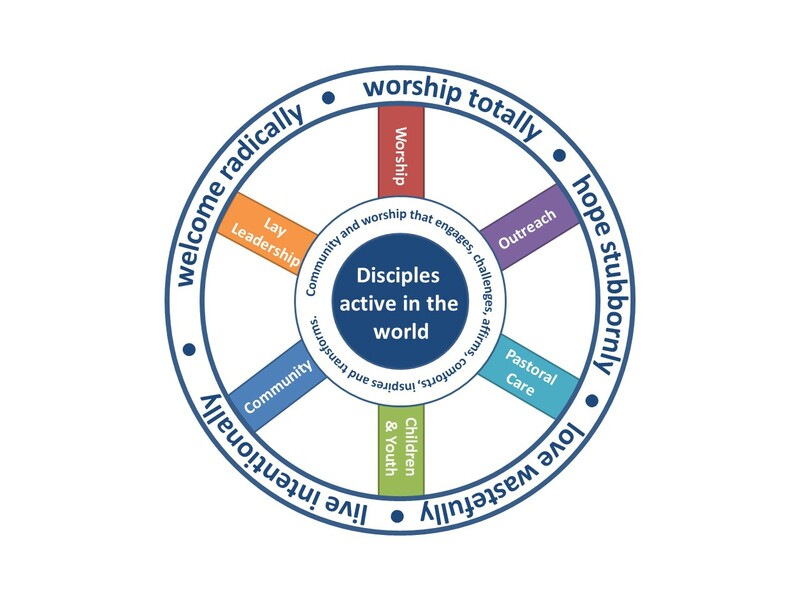 As a community of faith, our purpose is to create disciples that are active in the world. We do this through community and worship that engages, challenges, affirms, comforts, inspires and transforms. Click here for a PDF of the Vision Document draft. We are inviting feedback and input regarding the visions. Please email your feedback to the church or talk to a member of the vision team: Adam Gerhard, Pat Adams, Joan Boon, Leanne Douglas, Twila McNair, and Jon Sequire.